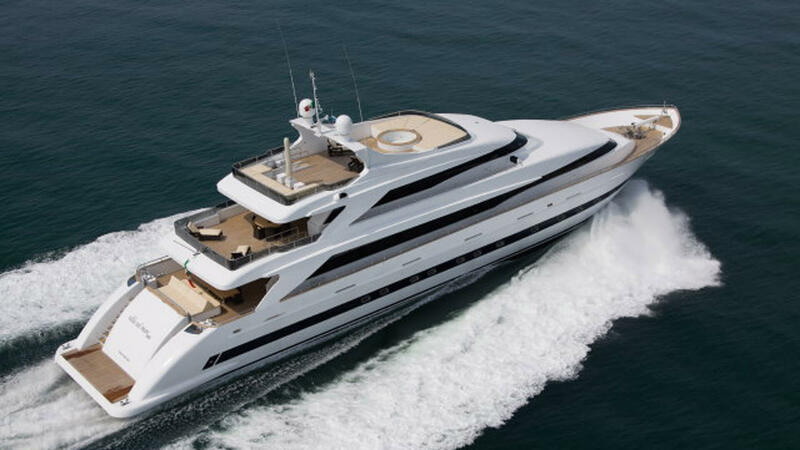 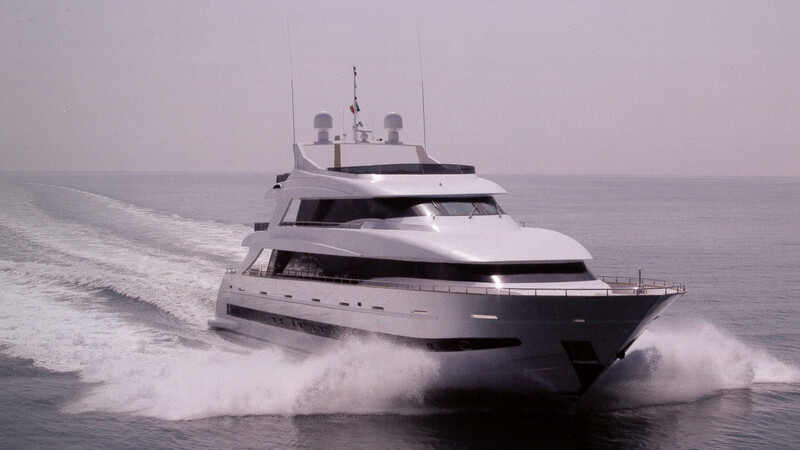 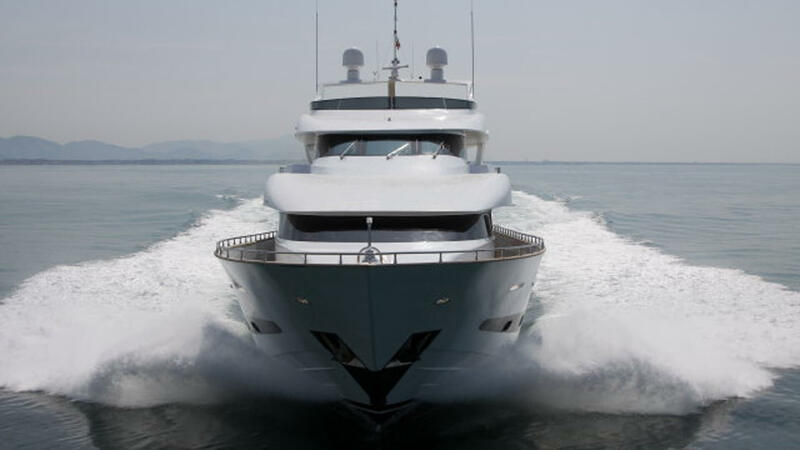 43 meters long and a beam width of MTU 16V 4000 M90 8.30, two powerful from 3650 horses that allow it to reach a maximum speed of 30 knots, 7 cabins and 4 crew cabins: these are the figures of seaside Villa, luxurious super yacht entirely constructed of fiberglass, the first motor yacht in its class to provide for so many quarters. 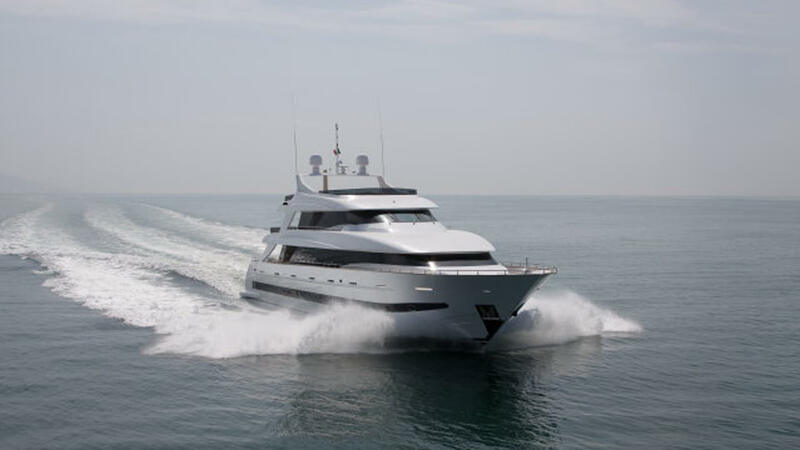 The exteriors are designed for the ultimate in entertainment of the guests and ensure their direct contact with the sea. 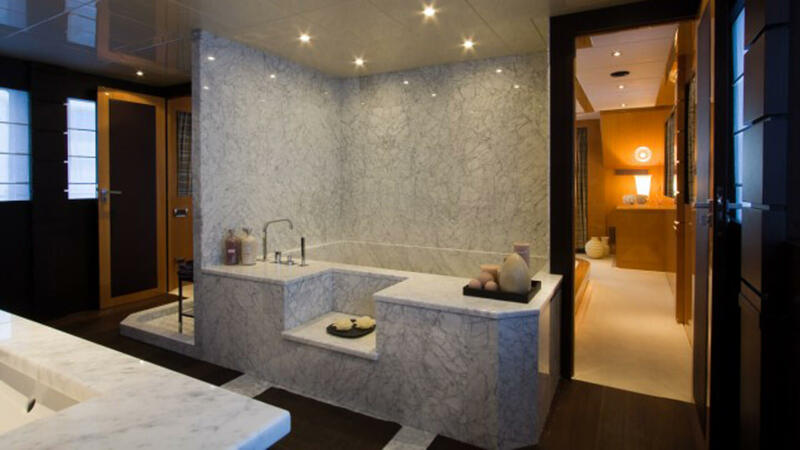 The impressive sun deck provides a comfortable relaxation area and a sunbathing area equipped with circular pool, couches, beds and chairs. 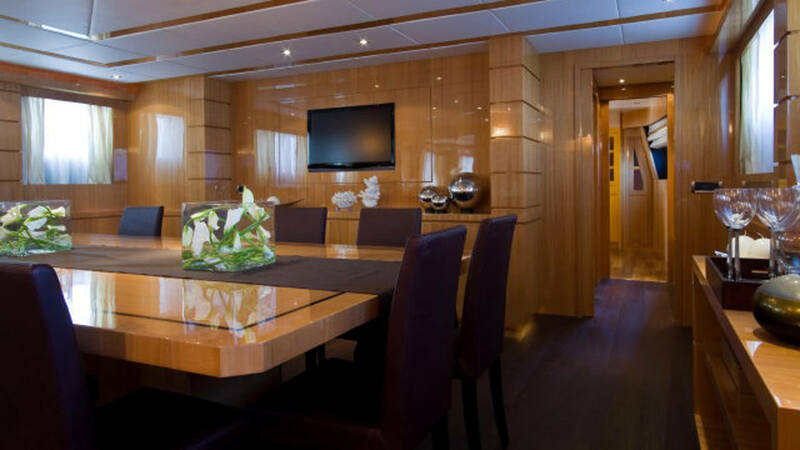 Aft on the main deck there is a large living area with table that can accommodate up to 14 people. 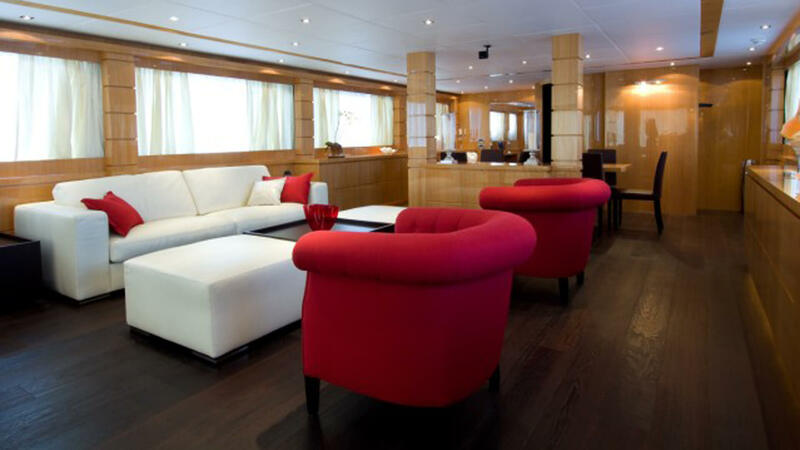 A second zone lunch and relaxation lies in always aft of the upper deck. 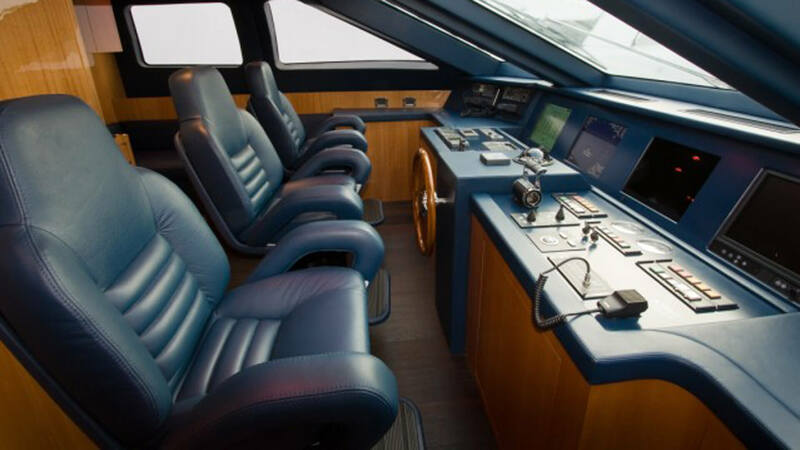 The interiors feature a classic design in a marine style: elegant and clean lines dominated the warm mahogany wood and pero, highlighted by the spectacular light entering through large side Windows. 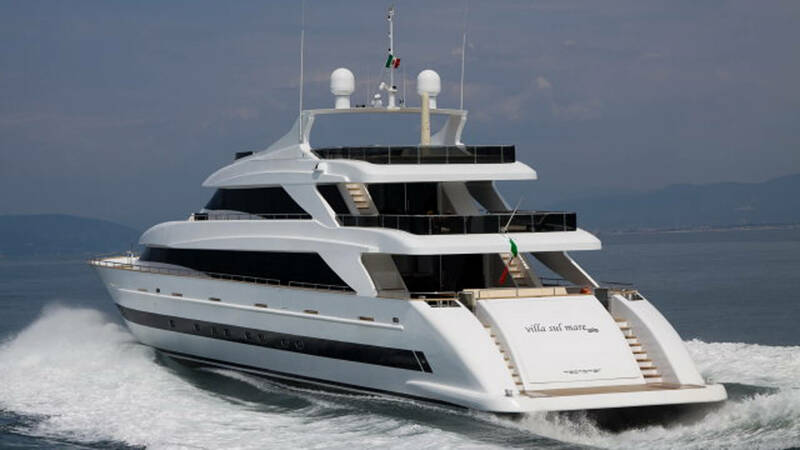 A large spiral staircase connects all decks. 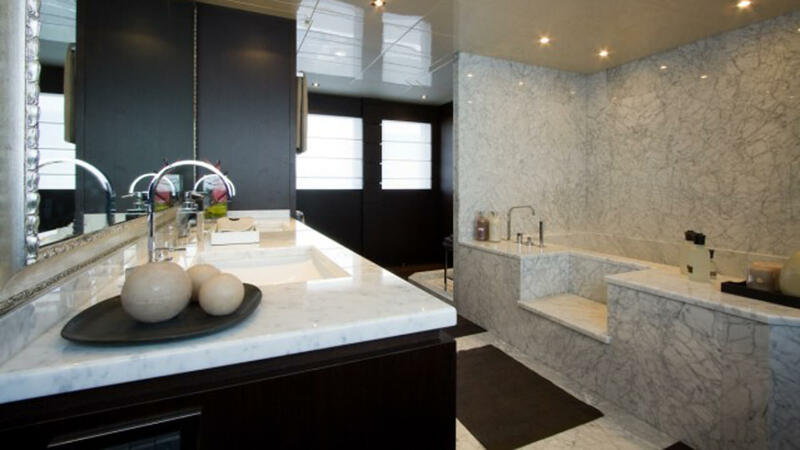 The upper deck is almost entirely dedicated to the owner's suite which houses a private office and a marble bathroom. 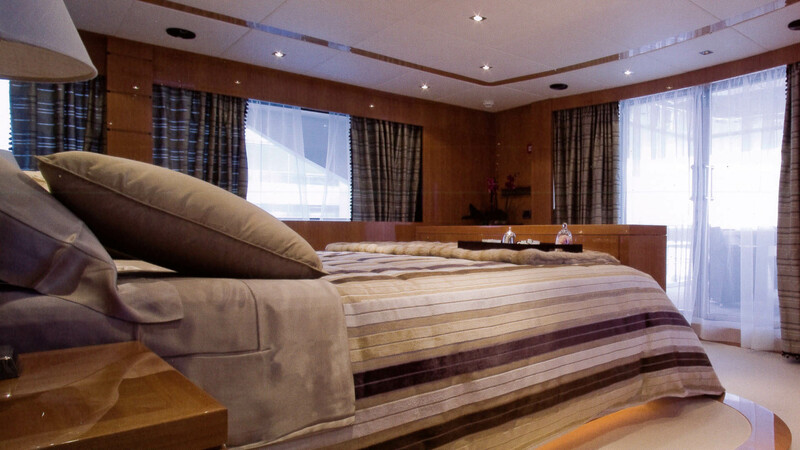 The seven guest cabins are divided into four doubles and two twins, and can accommodate up to 14 people. 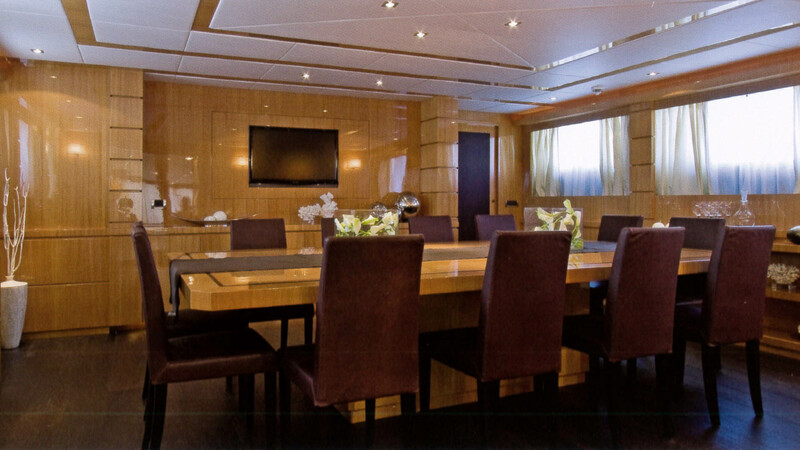 Accommodations for the crew (up to 9 members) consists of 4 cabins and a dinette with small kitchen confidential. 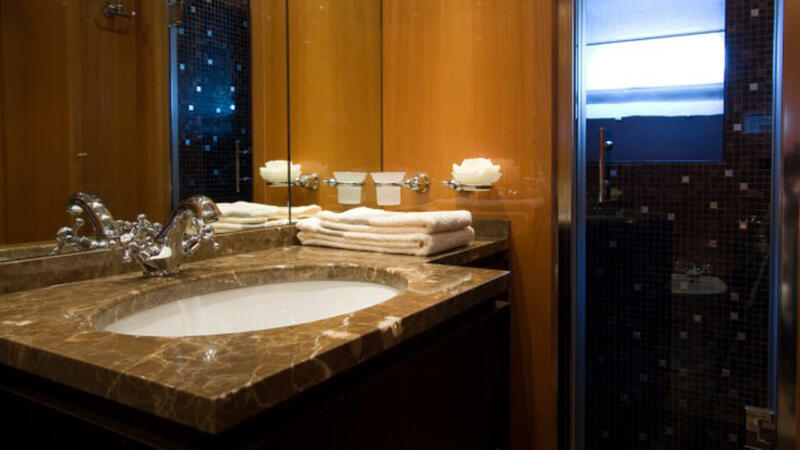 Service environments provide a laundry and ironing and a large kitchen.